Craft It Up & Link It Up Linky Party#41 They want to see all your crafty creations anything but a card!! Linky parties are open from Monday at 12AM Arizona MST thru Sunday 12PM Arizona MST. 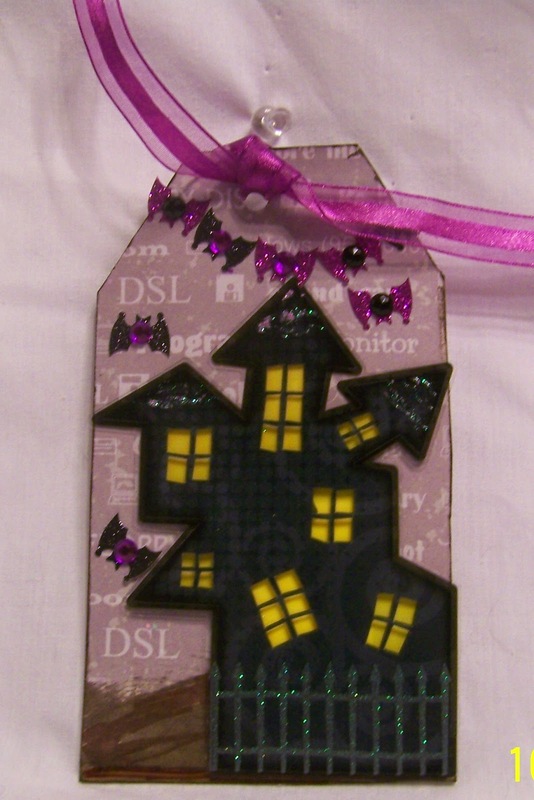 Here's my Halloween Tag. All embellishments, paper and card stock is from my stash so I do not have all the names of the companies. I started by cutting large tags out of heavy card stock, covered with pattern paper then built up the tag with sticker, ink, a bat banner and ribbon. What a cool tag! I love the sparkles! Thank you for joining our Linky Party at Craftin Desert Divas!